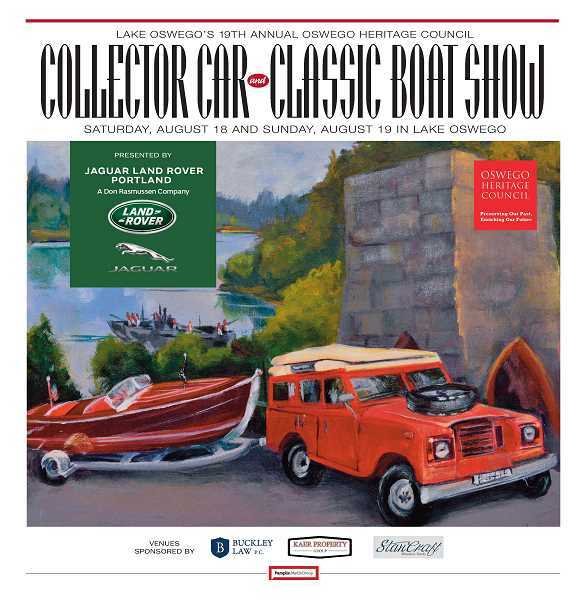 Thousands of car and boat enthusiasts are expected to descend on Lake Oswego this weekend for the Oswego Heritage Council's 19th-annual Collector Car and Classic Boat Show. Foothills Park, Sundeleaf Plaza and George Rogers Park will once again play host to the city's second-largest gathering of the year (after the Festival of the Arts), with events scheduled for both Saturday and Sunday and more than 300 collector cars and 40 classic boats on display. Land Rover is the featured marque for the 2018 show, which means visitors can expect to see dozens of models from throughout the brand's 70-year history. A large tent and stage sponsored by Jaguar Land Rover Portland will be constructed in George Rogers Park to provide information on new models and host the show's awards ceremony at 2 p.m. on Sunday. The free event is the only show in Oregon that combines collector cars and classic boats. But what makes it truly different is that it's not a strictly judged show, but rather a fun and unique event for families and enthusiasts who come from throughout the region to attend. All proceeds benefit the Oswego Heritage Council, whose community events and educational programs are dedicated to the preservation of local history. Technically, the show opens at 9 a.m. Sunday and runs through 3 p.m., but there's plenty to see and do before that. On Saturday morning, for example, dozens of military and civilian service vehicles will roll into Foothills Park (199 Foothills Drive) to await the arrival of the PT-658, the world's only working World War II-era PT boat. A short opening ceremony is planned for 10 a.m.
An hour later, the Dr. Quinten-Cox Memorial Poker Tour will send drivers from Foothills to locations across Lake Oswego in search of the best poker hand. The tour costs $5 per car and $5 per card at each station. Participants can collect as many cards as they want for a chance to win one of three gift baskets donated by O'Reilly Auto Parts and Goodyear Tires. The PT boat will be open for tours from its arrival at 10 a.m., Saturday through its departure on Sunday afternoon. The military and civilian vehicles — including the Lake Oswego Fire Department's antique fire truck — will be there both days as well, along with a display from the Lake Oswego Veterans Memorial organization. Sundeleaf Plaza (120 S. State St.) will serve as the venue for beautiful and rare classic boats, all docked for up-close viewing. The watercraft — many owned by members of the Antique and Classic Boat Society, Columbia-Willamette Chapter — represent years of floating style and elegance. As many as 40 boats will begin filing into Lakewood Bay early Saturday morning; they'll be available for viewing between 9 a.m. and 3 p.m. both days. Events at George Rogers Park (611 S. State St.) will take place on Sunday only, showcasing collector cars that span an array of makes, models and decades. Cars will be driven onto the field early in the morning for public display from 9 a.m. to 3 p.m., with the awards ceremony set for 2 p.m. The Lake Oswego Lions Club will host a pancake breakfast from 7-11 a.m. and serve hamburgers from 11 a.m.-2 p.m. Sunday in George Rogers Park. The cost for either meal is $9 for adults and $7 for children, with all of the proceeds going to help people with sight or hearing needs. A free shuttle service is available to ferry show-goers between the three venues. For more information about all of the happenings, check out the special section inside today's issue of The Review or visit www.oswegoheritage.org. On Saturday: PT-658 is scheduled to arrive at Foothills Park at 10 a.m.; City and military vehicles will also be on display there. Classic boats will be on display at Sundeleaf Plaza from 9 a.m.-3 p.m. 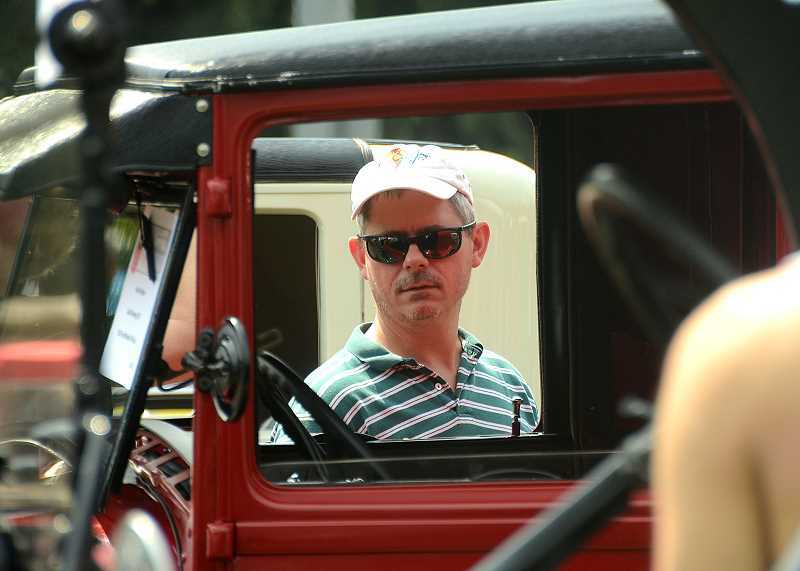 The Dr. Quinton-Cox Memorial Poker Run Car Tour also is scheduled for Saturday. On Sunday: All three venues will be open from 9 a.m.-3 p.m., with more than 300 cars expected to fill George Rogers Park. The Lake Oswego Lions Club will be hosting a pancake breakfast and burger luncheon in George Rogers Park from 7-11 a.m. and 11 a.m.-2 p.m. An awards ceremony will take place in the Jaguar Land Rover Portland tent at 2 p.m. Admission: A free shuttle service is available to ferry show-goers between the three venues. The event itself is also free.